As a Professional Makeup Artist specialising in Bridal and Wedding Makeup I have had the pleasure of being involved in some gorgeous weddings at some stunning venues. Choosing a venue for your wedding is probably the most important decision you’ll make as it pretty much defines your whole wedding day. So we are blessed with a plethora of gorgeous options when it comes to hotels and other wedding venues. Best UK Hotel outside London – TripAdvisor Travellers’ Choice Awards 2015. 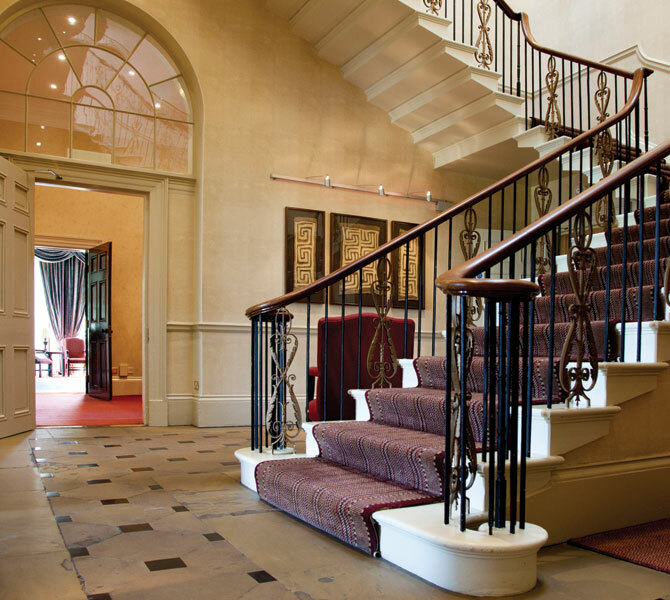 Award winning Rudding Park is one of the most beautiful Harrogate hotels. A privately owned AA 4 Red Star hotel and spa with a gym, private cinema, 2 AA Rosette Clocktower restaurant and 18 hole parkland golf course. Set amongst beautiful landscaped gardens and woodland, Rudding Park is one of the most relaxing Harrogate hotels within easy access of both York and Leeds. At The Devonshire Arms Hotel and Spa, one of the most picturesque wedding venues in North Yorkshire, ‘stylish’ means a magnificent setting, attention to detail and friendly, unobtrusive service. They will help in every way we can to make your occasion distinctive, momentous and most importantly of all, enjoyable for you and your family and friends. One of England’s most elegant and important gothic revival stately home, built by The Lord Mowbray, Segrave and Stourton, the premier Baron of England as a monumental statement of his position within the English aristocracy. Enter into its time capsule and go back into the ambience of an earlier period. Steeped in English history, in the 18th century the property was owned by Prince Frederick (the Grand Old Duke of York), brother to King George IV. Stunning unique boutique hideaway is the perfect exclusive use venue for your wedding. For those of you interested in holding your special day in a luxurious boutique hotel in Yorkshire, the hotel holds only one wedding per day so you’re sure to be the centre of attention on your very special day. There are hotels that provide you with a good location, some that are full of history, some that are situated in beautiful surroundings, some with good conference facilities but how many hotels offer all these? Harrogate is blessed with one such establishment. The 300 year old Crown Hotel is perfectly placed to please all these demands and more. Ripley Castle and Gardens, situated 3 miles from Harrogate in North Yorkshire on the edge of the Yorkshire Dales National Park, is an historic attraction open to the public all year round and makes for a fascinating and entertaining day out, in a beautiful location. Makeup Artist Ripon, Harrogate, Leeds & the North Yorkshire area.